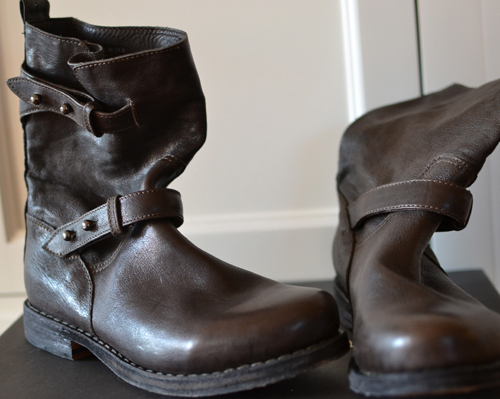 So, remember the leather moto boots I told you about in this post? The ones I've been dying to get my hands on? Or shall I say, get my feet into? Well, here they are! Want to take a guess where I found them? Yup, T.J.Maxx! They are edgy moto perfection and best of all....I got them for half of the original retail price. I decided to pair them with my military jacket and distressed denim, but I can't wait to wear them with skinny jeans and a cozy sweater once the cooler weather arrives in L.A. And yes, these boots are currently available in high end department stores and boutiques for way more than I got them for. I kid you not when I say that T.J.Maxx has ALL of the high end designer brands and styles you love for a fraction of the price. When it comes to anything leather, T.J.Maxx has you covered. You can find so many of the best shoes, boots, bags, jackets and blazers. Trust me. Did I also mention that they have an amazing selection of skin, hair and beauty products? And not the cheap stuff either. Don't over pay at your local beauty supply store. Seriously ladies, run, don't walk to your nearest T.J.Maxx. 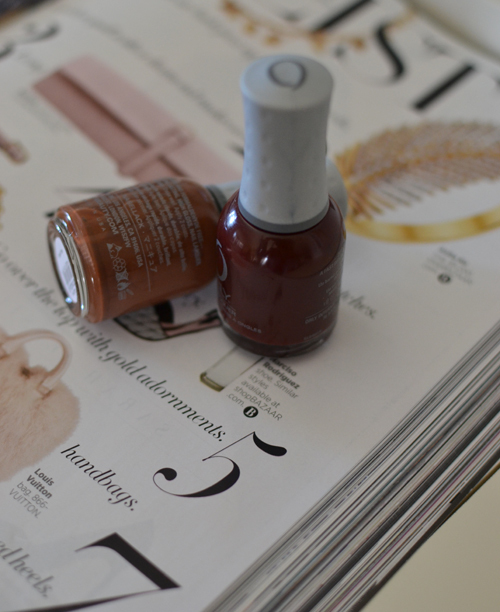 How great are these nail polish colors that I found at T.J.Maxx? So perfect for fall, right? What's even better is that I got both for less than the price of one! 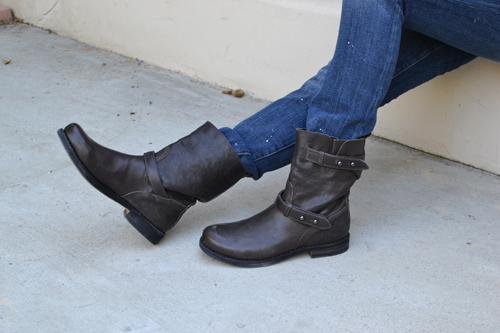 Love these moto boots and your style. That is so true, I remember the first time I went into TJ Maxx I was like omg they really do have designer clothes for half the price, the commercial wasn't lying! Hahaa.. This outfit is awesome! Can I wear this outfit every day? I love your chill outfits best. Have a great Weds! Great find and I just love this outfit! 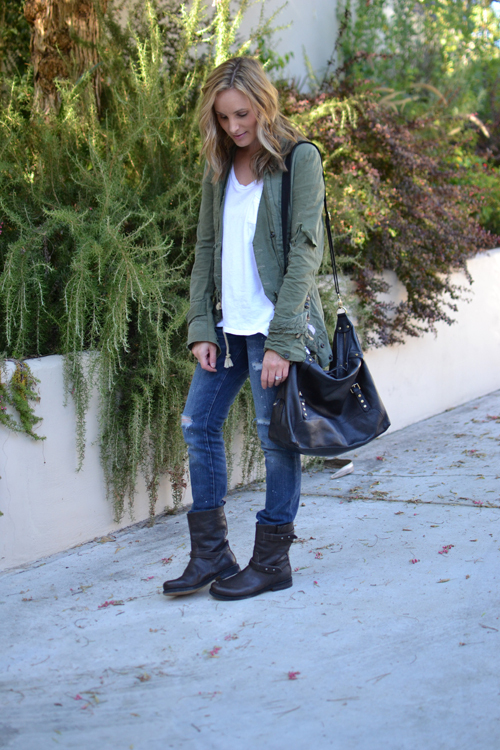 The military jacket with distressed jeans is too good! I've been wanting a pair of these and found a pair I like at ON, but I wish they came in black! These are perfect. Okay, I need to get over to TJmaxx now! Love those boots so much! Lucky for me, I have one right near my office (although it can be quite dangerous ;)). Love these moto boots!! Such a cute casual look here. I just started following you, so feel free to follow me back!